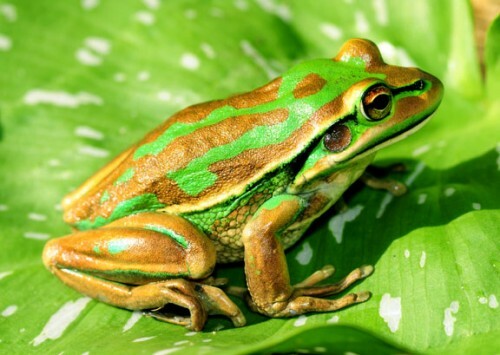 Also known as the Green Bell Frog, Green Frog, and the Green and Golden Swamp Frog, the Green and Golden Bell Frog is a ground-dwell tree frog that is native to the eastern part of Australia. However, this is a bit of a misnomer as it has been classified as a tree frog but does not live in trees at all. It actually spends all of its time close to the ground level. It is one of Australia’s largest frogs, as it can reach up to a length of 11 cm. As it name suggests, it is green and gold in color. 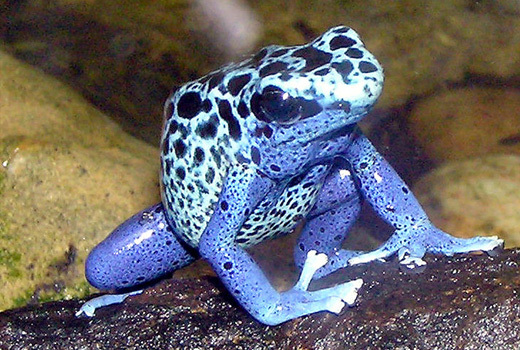 These frogs voraciously eat insects, however they will also eat larger prey such as mice and worms. Unlike most frogs, they are quite active during the day time, although this is usually to tan out in the sun. During the winter time, they are less active unless it is during a warmer or wetter period. They also breed during the warmer months. Male Green and Golden Bell Frogs reach maturity at 9 months, while larger females do not mature until they are 2 years old. The Green and Golden Bell Frogs do engage in cannibalistic behavior, as males will frequently injure and attack one another if they infringe on one another’s personal space. The Green and Golden Bell Frog population in Sydney dwell in areas that are frequently disturbed. These include disused industrial land, golf courses, landfill areas, and brick pits. Although they are one of the most common frogs found in south-eastern Australia, the Green and Golden Bell Frog has endured major decrease in population, especially in highland areas. This has lead to its current classification as being globally vulnerable. The numbers of the Green and Golden Bell Frogs have continued to fall, despite this. These frogs are threatened by habitat degradation, habitat loss, pollution, introduced species, and pathogens and parasites such as the chytrid. Green and Golden Bell Frog in the water! In addition, as most of the Green and Golden Bell Frogs live on private land, the logistics of trying to conserve these frogs are rather complicated. 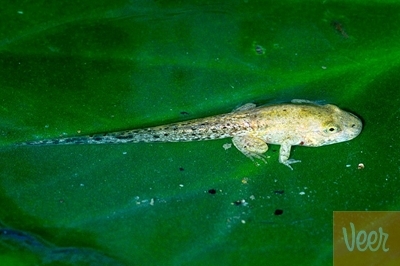 Despite this bad situation in its native south-eastern Australia, the frog is abundant in New Zealand and other Pacific Islands where it has been introduced into. Before its population decline, its range was from as far north as Brunswick Heads in New South Wales, to East Gippsland in Victoria, as well as west to the Australian Capital Territory, Tumut, and Bathurst. Its current range in Australia is from Byron Bay in New South Wales to East Gippsland in Victoria. It also has some populations occurring in the coast. 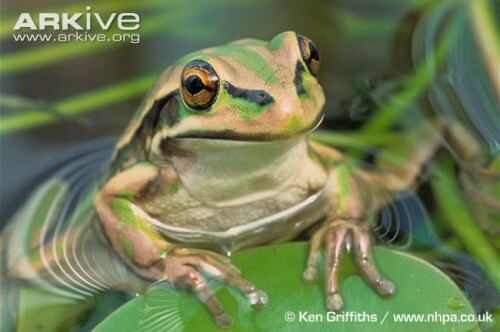 The Green and Golden Bell Frog has only been reported to severely decline in New South Wales since the 1960’s. No similar population declines have ever been reported in Victoria. In New South Wales, conservation efforts have led to the Green and Golden Bell Frog being relocated elsewhere, however this has failed. would this species be restricted in countries like canada?